Posted: Monday 9th December 2013 in eCommerce Technology, Retail Strategy, Thought Leadership. Pinterest has released an API that opens up a great opportunity for retailers to take advantage of the social platform’s capabilities of increasing both online AND offline conversions. Retailers have been trying to find an effective way to harness this social channel ever since its launch (as of September 2013, Pinterest’s 70m users drive more traffic than the combination of Twitter, LinkedIn, Reddit and Google+). Most had been limited to promoting their Pinterest boards onsite, through Pinterest-centric competitions etc., and using their Pinterest pages to push users towards their eCommerce sites. The API was launched with 20 partners, including large US retailers Walmart and Zappos, and will allow retailers to show ‘most pinned’ items on their sites using real-time Pinterest data. The details of the API will be released publicly to all interested developers soon, meaning that this functionality will be available to all. The release of the API demonstrates that Pinterest is a platform that will likely have longevity, and this move extends and improves its ability to be a strong driver of referral traffic. An improvement in conversion rate may not be the only positive outcome from this, as Pinterest has been shown to drive sales in-store through what has been termed “reverse-showrooming” (users discover products online only to then go into a physical store to purchase). Some retailers in recent times have taken to adopting Pinterest-like features and functionality on their sites – demonstrated by eBay’s homepage redesign – as the platform becomes more popular. These features include ‘infinite scroll’ (removing pagination from long lists of products, and allowing users to continuously scroll down the page to reveal more and more results), as well as a tile-based approach to displaying products so they are not simply displayed in a standard grid. 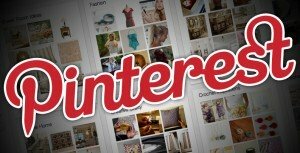 However, the release of the new API has led to a number of new ways in which retailers are able to incorporate Pinterest into their own site. What should a retailer do to make the most of this opportunity? All in all, this seems like an exciting development (or at least a very Pinteresting one…) that further bridges the gap between social and commerce. While not being a complete game-changer in eCommerce, it can certainly become a standard piece of functionality/integration that large retailers choose to integrate on their site. Summit have been designing and building beautiful and effective eCommerce websites since 2006. If you have questions about design or UX then please contact Will Garbutt, Senior UX Manager, or if you’d like us to help you design and build an eCommerce site with real impact then please contact Chris Dickson, Client Director, on 0203 428 5300.